Bengal is always known for it's holy spring, it's natural beauty, it's rich flora and it’s heritage presented in different riddles. 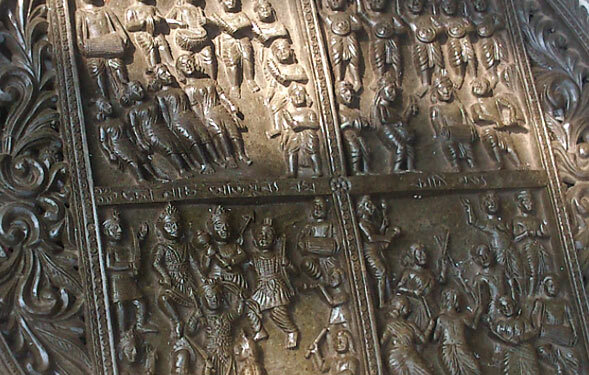 But few people of Bengal claim that the oldest rock inscription are located here. The fourth century stone inscription of King Chandravarman —- he was the king of one the kingdoms of Jodhpur, Rajasthan who conquered Bengal and built a castle at Aranyak. He died at the end of the fourth century in a war against Samudra Gupta. Bankura district in West Bengal is a renowned archaeological site with evidences of multiple stone articles which were made and used for thousands of years. The archaeological weapons like axe, cutter, hammer etc. 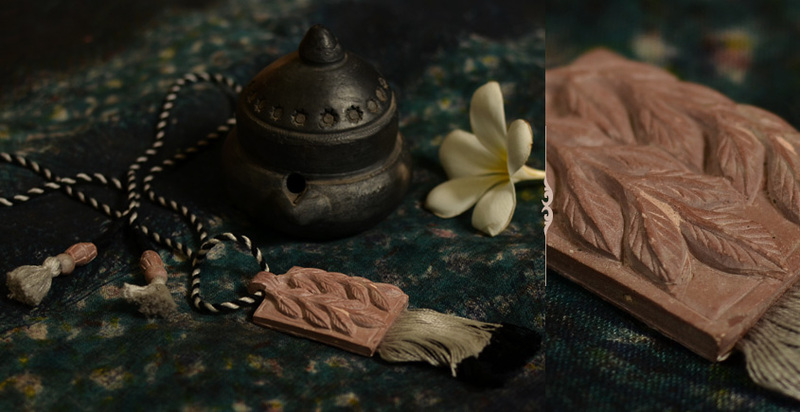 prove their acute sense perfection of finishing, which is still present in the modern craft making like utensils, ash-tray, agarbati stand, sculptures of gods and goddesses, owl, horse and numerous patterns with this white sand stone. 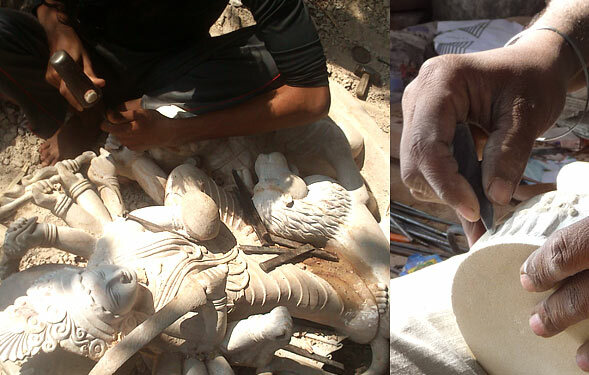 It is a very tedious task to hammer the stone in order to give them intricate and exact shape, this may takes hours. 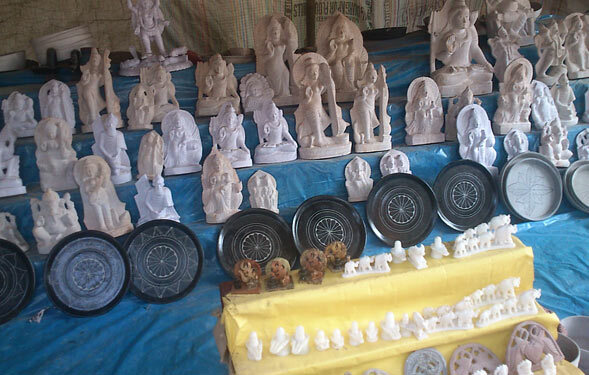 Stone carvers of Bangal use range of soapstone (natural, grey, white), alabaster, white marble, sandstone, granite for their work. 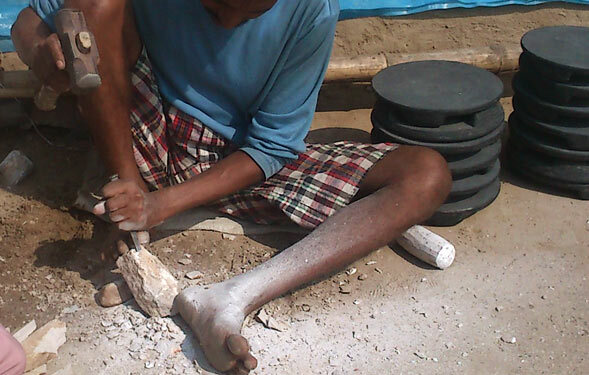 Design is made based on the experience and understanding of artisans depending on the desired final product. Most of this is carried out by using traditional techniques such as handmade drawing, concept, imitating the drawing structure from the actual ones on paper, sheet etc. The design is executed on the raw material selected based on the requirement, the stone is broken off into large portions of the rock to form the basic outline of the piece. The surface is drilled to various depths and unwanted material is removed. 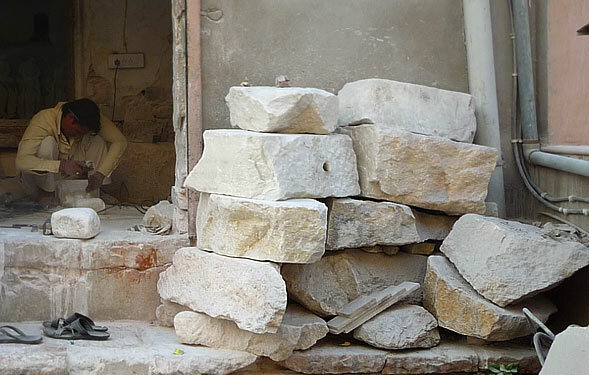 The fine chisel is then used to scrape off the unwanted material to give the stone a rough shape of the desired figure. Finer detailing takes up majority of the time. After carving, sanding is done on the structure to smooth the edges and to remove all the file marks. This can be carried out manually using a sand paper or same can be imposed on a smoothening plate. 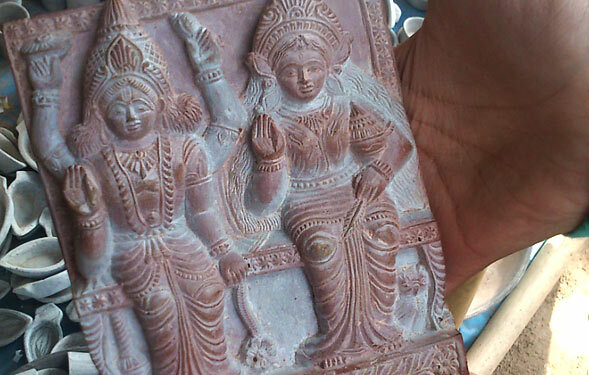 In spite of having a rich tradition of stone carving in Bengal, the craft is probably approaching a gradual extinction. So, Miharu thought of uplifting this craft by redesigning the stone pendants and reviving the elegance of the stones giving it a different look. 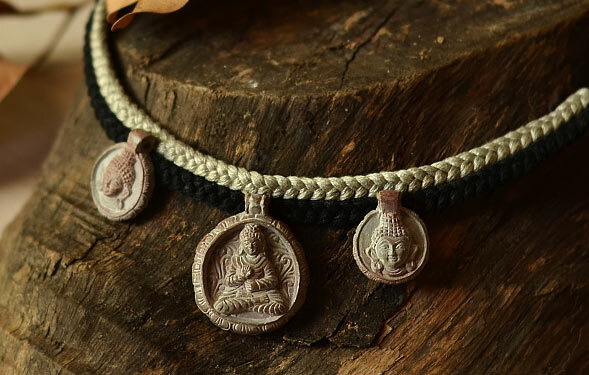 Each piece of the pendant is sewed with the loops of natural colour thread braided and twisted. Bengal is always known for it's holy spring, it's natural beauty, it's rich flora and it’s heritage ..